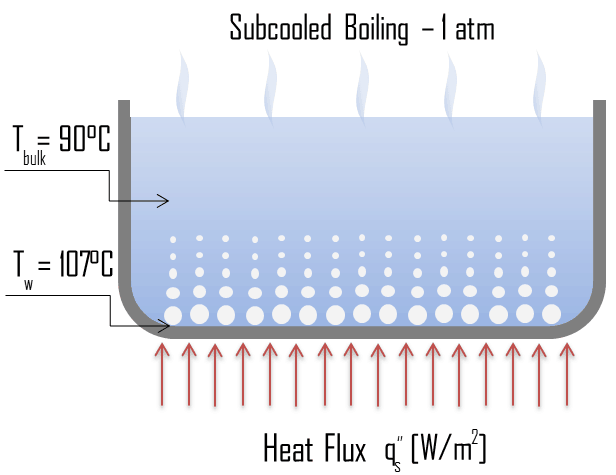 In subcooled boiling, the temperature of most of the liquid is below the saturation temperature and bubbles formed at the surface may condense in the liquid. This condensation (collapsing) produces a sound of frequency ~ 100Hz – 1 KHz. This is why an electric kettle makes the most noise before the water comes to saturated boiling. The term subcooling refers to a liquid existing at a temperature below its normal boiling point. 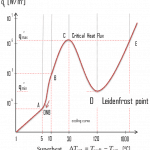 In preceding chapters, we have discussed convective heat transfer with very important assumption. 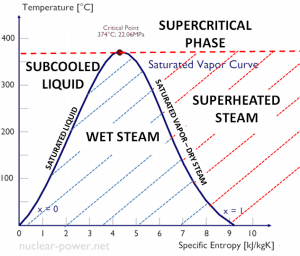 We have assumed a single-phase convective heat transfer without any phase change. 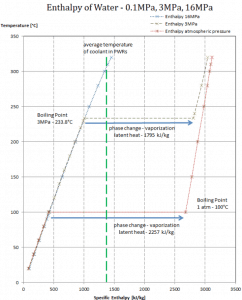 In this chapter we focus on convective heat transfer associated with the change in phase of a fluid. In particular, we consider processes that can occur at a solid–liquid or solid–vapor interface, namely, boiling (liquid-to-vapor phase change) and condensation (vapor-to-liquid phase change). The enthalpy of vaporization is a function of the pressure at which that transformation takes place. The change from the liquid to the vapor state due to boiling is sustained by heat transfer from the solid surface; conversely, condensation of a vapor to the liquid state results in heat transfer to the solid surface. Boiling and condensation differ from other forms of convection in that they depend on the latent heat of vaporization, which is very high for common pressures, therefore large amounts of heat can be transferred during boiling and condensation essentially at constant temperature. 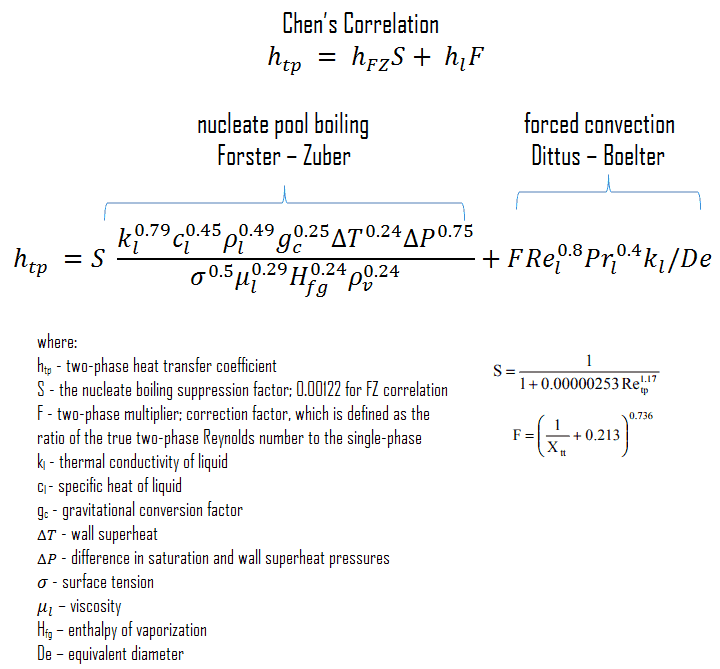 Heat transfer coefficients, h, associated with boiling and condensation are typically much higher than those encountered in other forms of convection processes that involve a single phase. This is due to the fact, even in turbulent flow, there is a stagnant fluid film layer (laminar sublayer), that isolates the surface of the heat exchanger. This stagnant fluid film layer plays crucial role for the convective heat transfer coefficient. It is observed, that the fluid comes to a complete stop at the surface and assumes a zero velocity relative to the surface. This phenomenon is known as the no-slip condition and therefore, at the surface, energy flow occurs purely by conduction. But in the next layers both conduction and diffusion-mass movement in the molecular level or macroscopic level occurs. 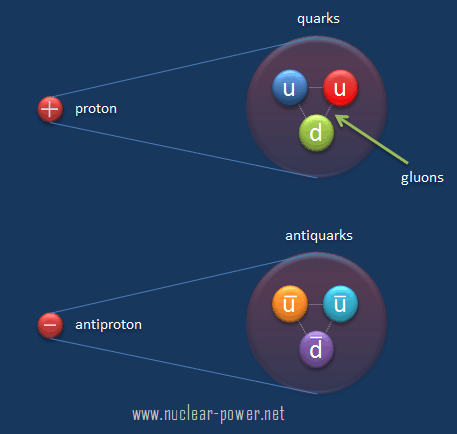 Due to the mass movement the rate of energy transfer is higher. As was written, nucleate boiling at the surface effectively disrupts this stagnant layer and therefore nucleate boiling significantly increases the ability of a surface to transfer thermal energy to bulk fluid. 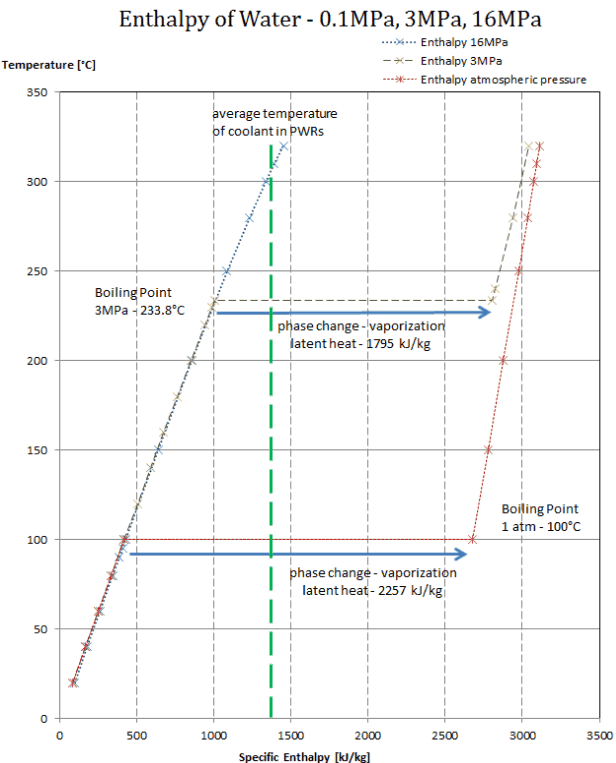 Although the earliest core designs assumed that subcooled surface boiling could not be allowed in PWRs, this assumption was soon rejected and two-phase heat transfer is now one of normal operation heat transfer mechanisms also in PWRs. 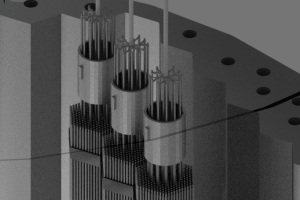 For PWRs at normal operation, there is a compressed liquid water inside the reactor core, loops and steam generators. The pressure is maintained at approximately 16MPa. At this pressure water boils at approximately 350°C(662°F), which gives a subcooling margin (the difference between the pressurizer temperature and the coolant outlet temperature in the reactor core) of 30 °C. Noteworthy, this subcooling margin concerns the bulk temperature, since bulk boiling is in any case prohibited. Subcooling margin is very important safety parameter of PWRs, since the bulk boiling in the reactor core must be excluded. 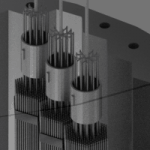 The basic design of the pressurized water reactor includes such requirement that the coolant (water) in the reactor coolant system must not boil. 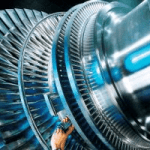 To achieve this, the coolant in the reactor coolant system is maintained at a pressure sufficiently high that boiling does not occur at the coolant temperatures experienced while the plant is operating or in an analyzed transient. 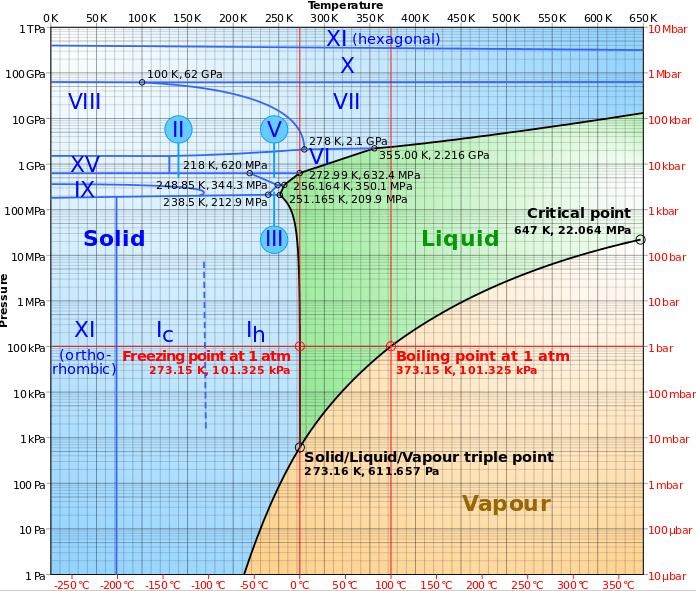 As was calculated in example, the surface temperature TZr,1 = 325°C ensures, that even subcooled boiling does not occur. Note that, subcooled boiling requires TZr,1 = Tsat. Since the inlet temperatures of the water are usually about 290°C (554°F), it is obvious this example corresponds to the lower part of the core. 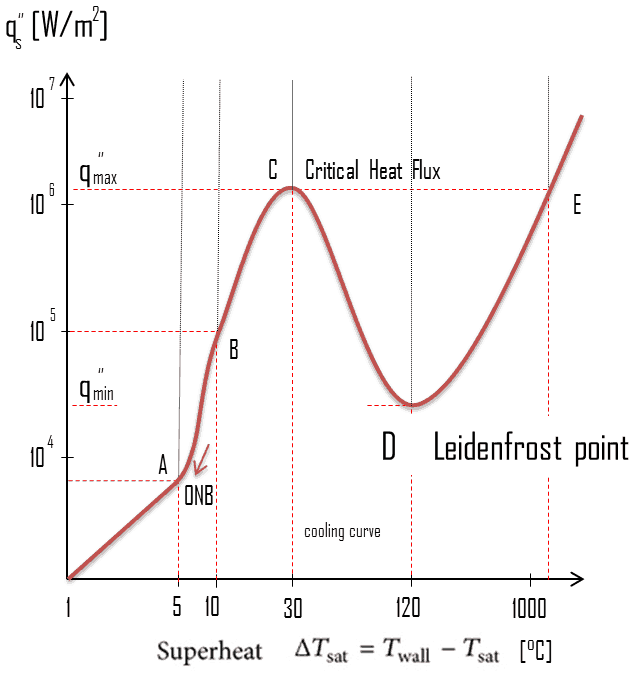 At higher elevations of the core the bulk temperature may reach up to 330°C. The temperature difference of 29°C causes the subcooled surface boiling may occur (330°C + 29°C > 350°C). 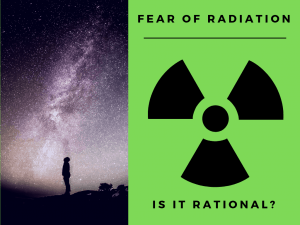 On the other hand, nucleate boiling at the surface effectively disrupts the stagnant layer and therefore nucleate boiling significantly increases the ability of a surface to transfer thermal energy to bulk fluid. As a result, the convective heat transfer coefficient significantly increases and therefore at higher elevations, the temperature difference (TZr,1 – Tbulk) significantly decreases. In case of PWRs, the critical safety issue is named DNB (departure from nucleate boiling), which causes the formation of a local vapor layer, causing a dramatic reduction in heat transfer capability. This phenomenon occurs in the subcooled or low-quality region. 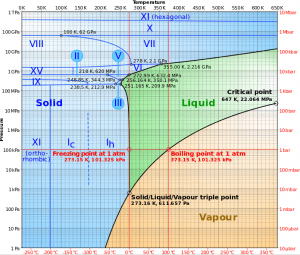 The behaviour of the boiling crisis depends on many flow conditions (pressure, temperature, flow rate), but the boiling crisis occurs at a relatively high heat fluxes and appears to be associated with the cloud of bubbles, adjacent to the surface. These bubbles or film of vapor reduces the amount of incoming water. 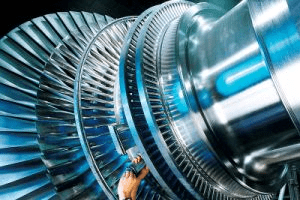 Since this phenomenon deteriorates the heat transfer coefficient and the heat flux remains, heat then accumulates in the fuel rod causing dramatic rise of cladding and fuel temperature.